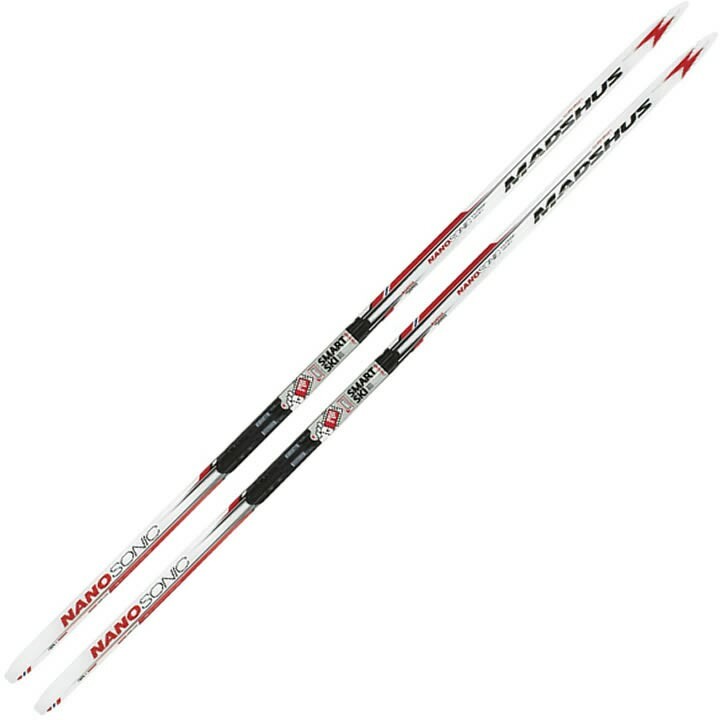 When you need optimal kick and glide in a variety of conditions, choose the Madshus Nanosonic Carbon Classic Cold Waxable Ski. With a universal camber profile, Madshus Speed Tip, and P190 Nano Universal base, this cross-country race ski delivers consistent glide and performance. PR 100X and Triaxial Carbon Construction: The PR 100X Core is a high-performance Rohacell foam core that was developed for extreme strength-to-weight applications in aeronautics that helps provide dampening properties and adds strength and stiffness to the ski without extra weight. Triaxiam Carbon Construction: Triaxial Braiding Construction is the process of interlocking strands of fiberglass and carbon fiber around the entire core. This unique method produces excellent torsional rigidity and strength while maintaining a lively feel and light-weight. P190 Nano: The P190 base was designed as a race ready base that is versatile in a variety of conditions.